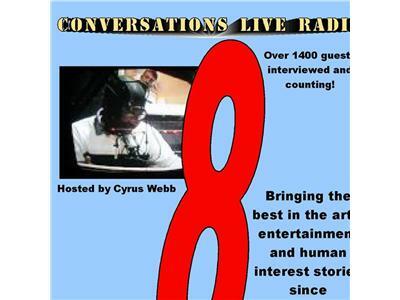 At the top of the show host Cyrus Webb welcomes author Gael D. Meyer to Conversations LIVE to discuss her book THE NUTS & SPROUTS OF HEALTHY EATING. Then at 20 min. past the hour, resident chef Bruce Tretter gives us this week's Quick & Easy Cooking Tip. Finally at 30 min. past the hour Webb talks with Jodi Ambrose about her work to help others to improve relationships and get real joy and happiness in life.